Great location right alongside the extensive forest paths of Central Park, yet just a ten-minute train ride into central Helsinki. 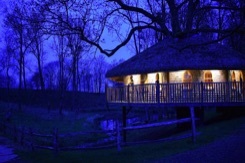 The guest rooms are modern and comfortable, with forest views, and there's a wellness area with swimming pool and sauna. 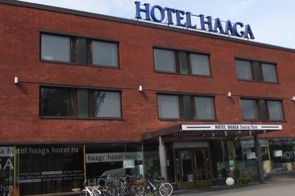 Hotel Haaga has Green Key certification, with initiatives including efficient use of energy and water, recycling waste, sourcing local and organic food, and use of eco-friendly cleaning products. 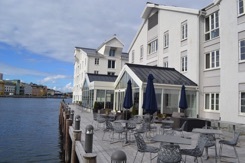 Four-star hotel in a superb location, close to Helsinki's Central Station and within walking distance of many of the city's key sights. 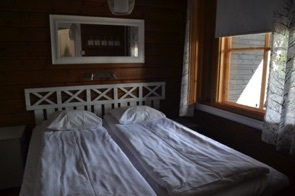 Rooms have large, modern bathrooms and comfortable beds with pillow and duvet menu. Brilliant buffet breakfast, with a huge variety of food served in a historic Art Deco hall. 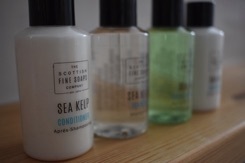 Eco initiatives in place at the hotel include reducing water use, and saving energy. 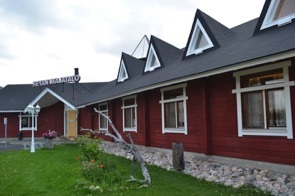 A welcoming family hotel on the edge of the Pallas-Yllästunturi National Park in Lapland. The clean and modern family rooms have a mezzanine sleeping area and ensuite bathrooms. Communal areas include a cosy lounge with open fireplace, library and games room, and sauna. 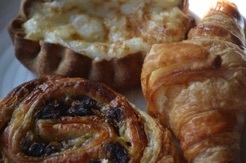 Locally produced food offered at breakfast. A good base for hiking in the area. A smart, modern, friendly hotel. 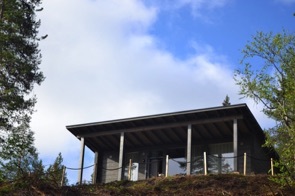 Situated right on the shore of Lake Inari, with spectacular views, and just a short walk to the superb Siida museum. Choose from hotel rooms or family apartments. The latter are spacious and comfortable, with fully equipped kitchens – there's a supermarket just across the road. Staff can give advice on the local area and help organize tours and activities. 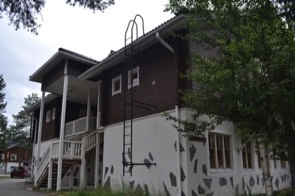 Centrally located, ski chalet style apartments close to supermarket and activities such as hiking and cycling. The apartment has a comfortable sitting area, well-equipped kitchen, and views of the surrounding fells. There's also a private sauna. Plenty of space for a large family, with a separate double bedroom, and upstairs galleried sleeping platform with a second sitting area. This lovely cottage in the Pyhä-Luosto National Park is one of a range of range of self-catering cabins and cottages that are ideal for families rented out by Pyhähippu. Akanhippu has two bedrooms, a lounge, kitchen, bathroom with sauna, and wooden balcony with fell and forest views. Walking trails into the national park – including to the spectacular Isokuro Gorge – start right from the cottage door. 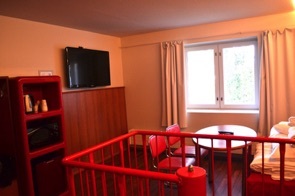 Modern hotel near the train station with spacious, functional rooms that are clean and well-equipped. This is a staffless hotel – access is via a key-code that's sent by email the day before arrival. Family rooms are open-plan over two levels with comfortable sofa bed and compact shower room. Also in the room is a kettle, fridge and microwave to prepare breakfast and simple meals – there's a small supermarket just along the street. 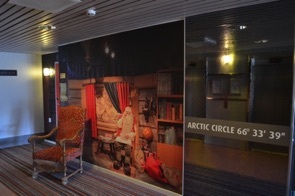 A wonderful hotel just outside Rovaniemi and right next door to Santa Park, where you can meet Santa Claus and step into the Arctic Circle. A mix of luxury wooden lodges on stilts and larger Glass House cabins, beautifully situated in a forest setting, and decorated in modern Finnish style that is cosy and welcoming. This is an eco-friendly hotel. 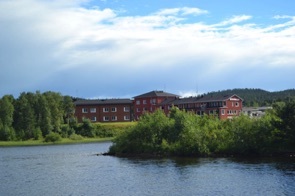 Friendly and welcoming hotel with a cosy ambience in the heart of Rovaniemi. 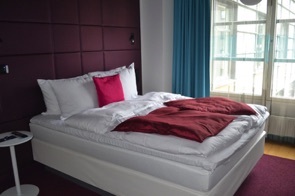 The 159 rooms have been renovated to a high standard, with natural colours and materials to reflect Lappish design. Many of the rooms have unique aurora lighting to recreate the magic of the Northern Lights. The Hotel was awarded Green Key certification in 2016, and continues to introduce new eco initiatives.